Current: What is Product Backlog Grooming? Scrum is a light-weight framework with a minimal set of rules. The rules help people to empirically make the most out of every single day of creating software products. The product backlog, sprint backlog, and potentially shippable product increment are examples of Scrum artifacts. 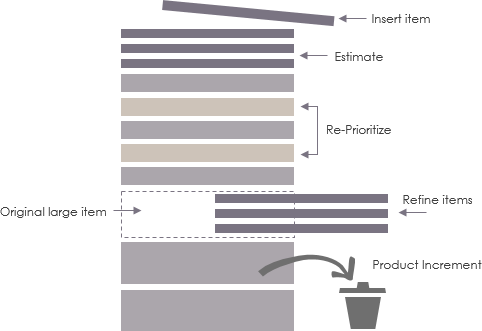 Product Backlog is simply a list of all things that needs to be done within the project. 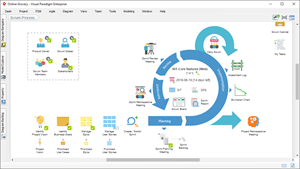 It replaces the traditional requirements specification artifacts. These items can have a technical nature or can be user-centric, and typically in the form of user stories. The sprint backlog is the list of refined product backlog items chosen for development in the current sprint, together with the team’s plan for accomplishing the work. It reflects the team’s forecast of what work can be completed. Once the sprint backlog is established, the development team begins work on the new product increment. A Scrum product backlog is simply a list of things to do for the project. The Product Owner creates, maintains, and regularly re-orders a list of feature to be implemented for a product for adapting to emerging requirements, customer feedback, and market changes. By maintaining a well categorized product backlog like the structure above, your team should be more readily to proceed to the sprint planning process.